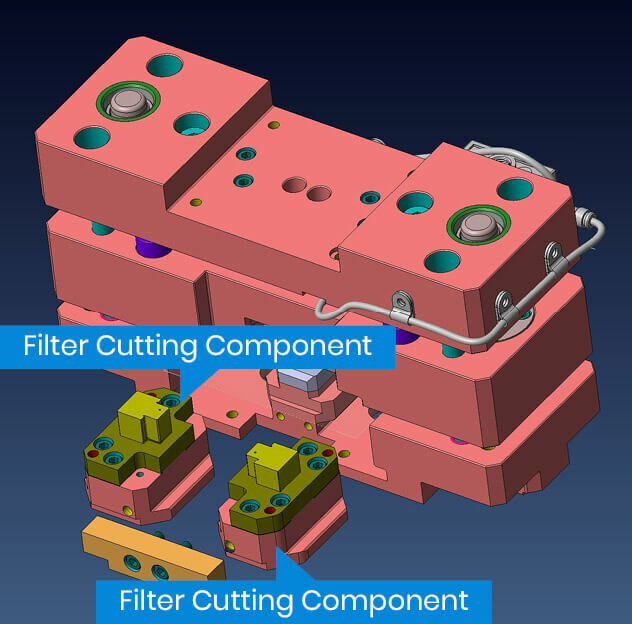 This customer needed a different design intent for the filter cutting component of a die utilized in an existing assembly machine. The current design was causing cutting and maintenance issues; leading to a decrease in the quality and consistency of their final product. 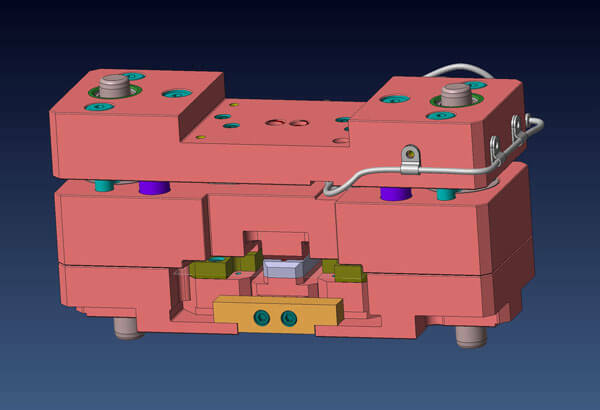 Our design team reengineered this die and the cutting component with a focus on improving the cutting action and the component’s accessibility for maintenance and changeout. The new design went from being a multiple-piece component to a single-piece component. It was critical during the redesign to ensure the quality and precision of the filter cutting operation wasn’t sacrificed. This involved evaluating each piece’s role in the performance of the component to verify the degree it could or couldn’t be modified as well as its physical location. And with this new design, changeout and maintenance would be easier and quicker with a more compact shape. The customer could now just remove the component via two bolts versus pulling out many different pieces. This also helped make realignment easier and more precise for a quick return to the equipment operating as scheduled.